Hi All - I just picked this up from the Richmond Chapters. 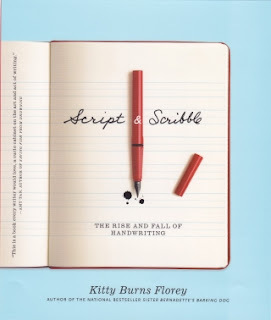 It's a history of handwriting: "Script and Scribble" by Kitty Burns Florey. Very good for the price too, reduced to $4.99 At the time I was there, they had a stack of these on the sale table. Hi! Your comment came up on a search I was doing for "Script and Scribble." 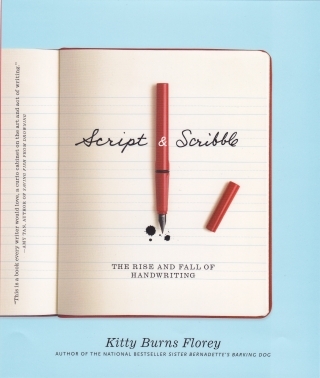 Oh -- and if your pen club ever invites Kitty Florey as a speaker, I'd love to come too. I never actually met her -- just saw and responded to her samples that she e-mailed: teaching her by long distance. Thank you for the URL update, Kate; you are most welcome to attend any of our meetings! Picked this book up from the sales rack at our local Chapter's this evening and then come home and find a post about it here. It's a strange and wonderful world. Can't comment on the book itself as I haven't read it, but it looked interesting enough to purchase. I live far from Vancouver, but if I ever can visit Vancouver I will try to attend a meeting.